Imagine this scenario: you’ve received two job offers and you’ve got to decide which one to accept. You make a pros and cons list, noting down important things like compensation, vacation policy and learning opportunities. But what about diversity? There’s a good chance it won’t appear anywhere on your list. A 2014 Glassdoor survey of job-seekers revealed that one-third of respondents either had no opinion or said diversity wasn’t something they considered when weighing up offers. But they could be making a big mistake. Diversity matters more than you might think. You’ve probably already heard that it makes good business sense – companies with higher levels of gender, racial and ethnic diversity tend to be more profitable, innovative and competitive. What you might not know is just how much you, the employee, benefit from being in a diverse workforce. As Katherine W. Phillips writes in Scientific American, there’s a plethora of research that shows how working with people who are different to us can make us smarter, more creative and more diligent. “Diversity enhances creativity. 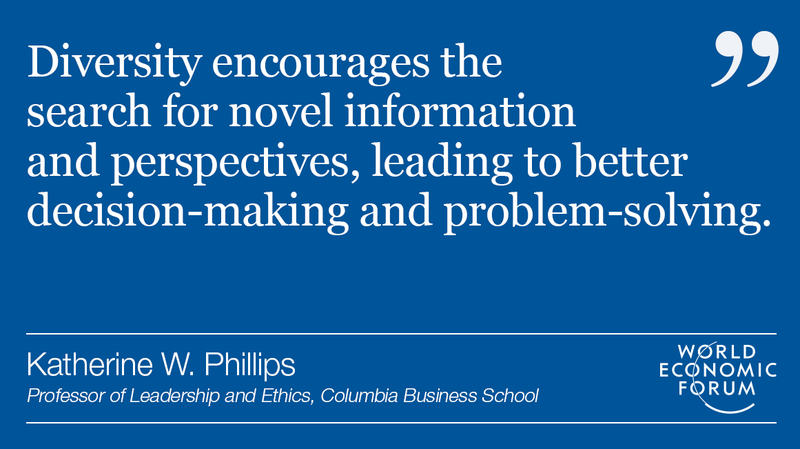 It encourages the search for novel information and perspectives, leading to better decision-making and problem solving,” Phillips argues. If diversity is so good, why don’t we see more of it? Think of it this way: just because you know exercise and a balanced diet will make you happier and healthier, does that mean you go to the gym three times a week and never eat fast food? 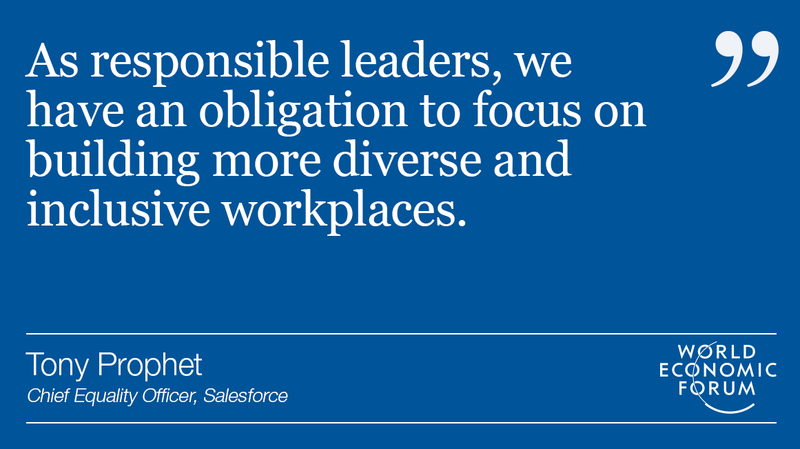 Similarly, making our workforces more diverse will require years of effort – undoing deeply ingrained unconscious biases, overcoming talent pipeline issues, and completely rethinking leadership models. The good news is that some companies are already starting to put in that hard work. 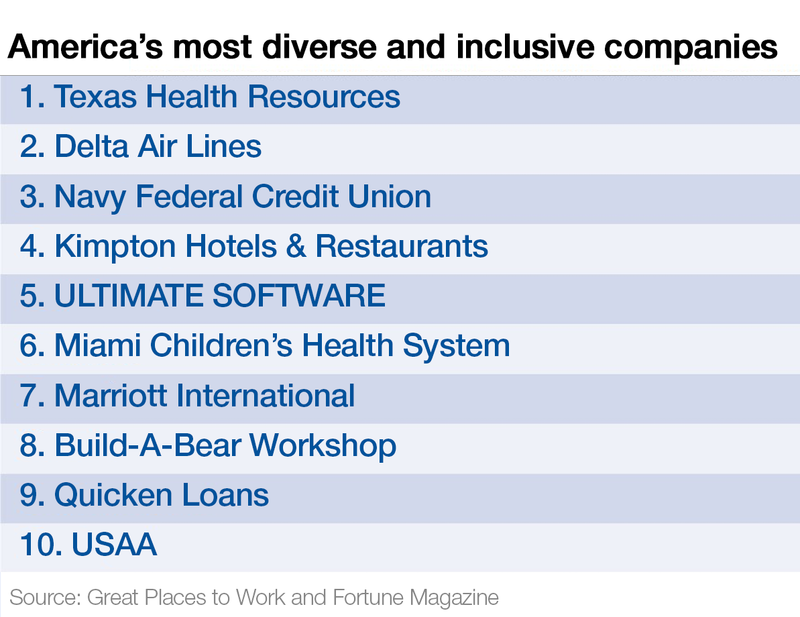 Every year, Great Places to Work partners with Fortune to figure out which companies are the most diverse and inclusive. The list is by no means definitive. For one thing, because the findings are based on a survey of 448,456 staff in the US, it only includes American companies. However, because it looks at both the quantitative and qualitative aspects of diversity – not just how many women, or Latinos, or LGBT staff a company hires, but how they treat them – it offers some useful insights into what’s being done to bring about change. So what works when it comes to creating diverse, inclusive companies? As with our personal efforts to stay fit and healthy, the solution partly lies in small, consistent actions, which over time can lead to big changes. “Practices employers put into place to encourage inclusiveness aren’t magic,” two of the survey’s authors point out in Fortune. They include common-sense measures such as creating employee advocacy groups, putting in place scholarships to improve diversity in recruitment, and providing training on issues like unconscious bias. They might sound simple, but if the feedback from those surveyed as part of the ranking is anything to go by, they appear to be working. In September last year, Salesforce hired its first chief equality officer, Tony Prophet. It’s perhaps no coincidence that it’s one of only a few Silicon Valley tech firms that makes it into the Great Places to Work list of most diverse companies (coming in at number 37). With intentional changes – equal pay assessments, diversity training, transparency around diversity figures – the tech giant has managed to make equality “part of our corporate DNA,” Prophet tells us. Perhaps most importantly, as well as uncovering problems, they also work to correct them. In 2016, the company’s first equal pay audit revealed some issues. So they tackled them head on. Some of the changes they’re putting in place will take years to pay off – such as their support for STEM programmes that target historically under-represented groups. But as Prophet points out, even if the challenge is grueling, it’s one all good leaders should embrace. While the glacial pace of change can be frustrating, people like Prophet remain optimistic that if we keep plugging away – not just celebrating the benefits of diversity, but also making sure this translates into action in the workplace – we will get there.